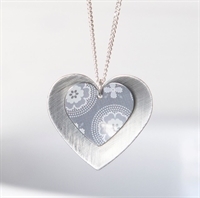 An oval necklace handmade in our Scandi Grey print with Swarovski pearl detail. 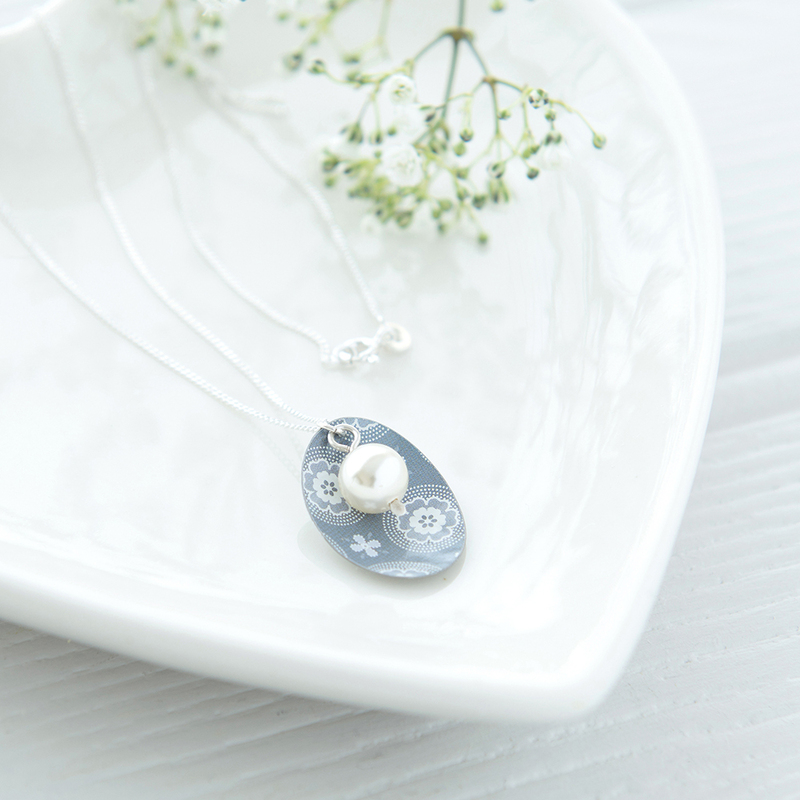 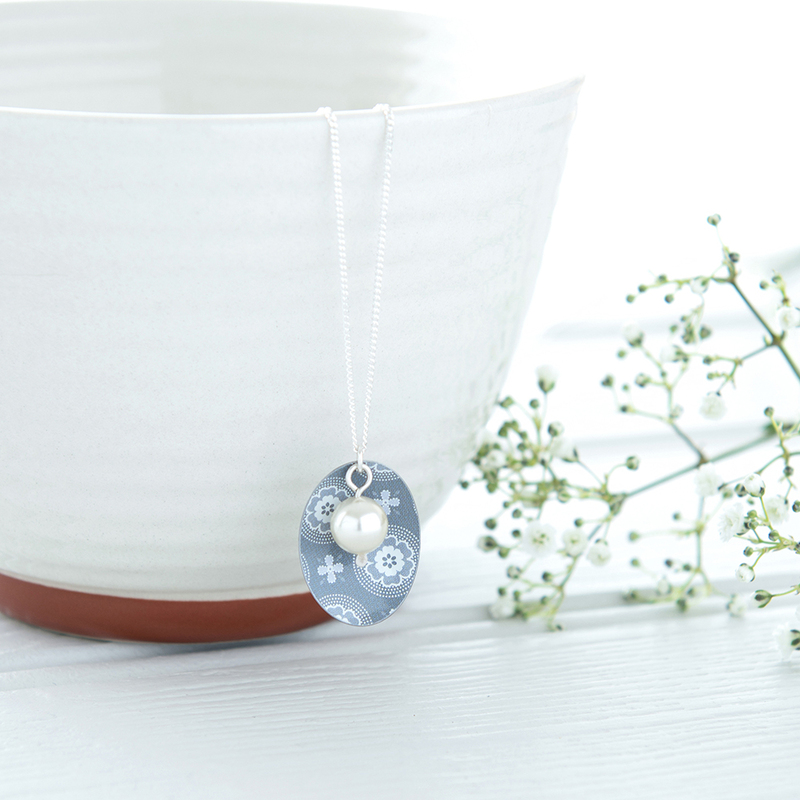 This gorgeous necklace features a tin oval perfectly complemented by a creamy Swarovski pearl. 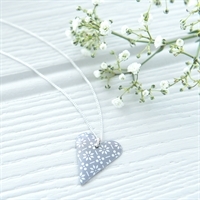 Available in Scandi Grey supplied on an 18" sterling silver curb chain. 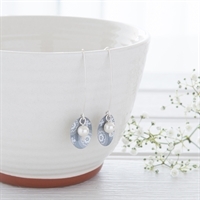 Oval earrings in Scandi Grey print with Swarovski pearl detail.